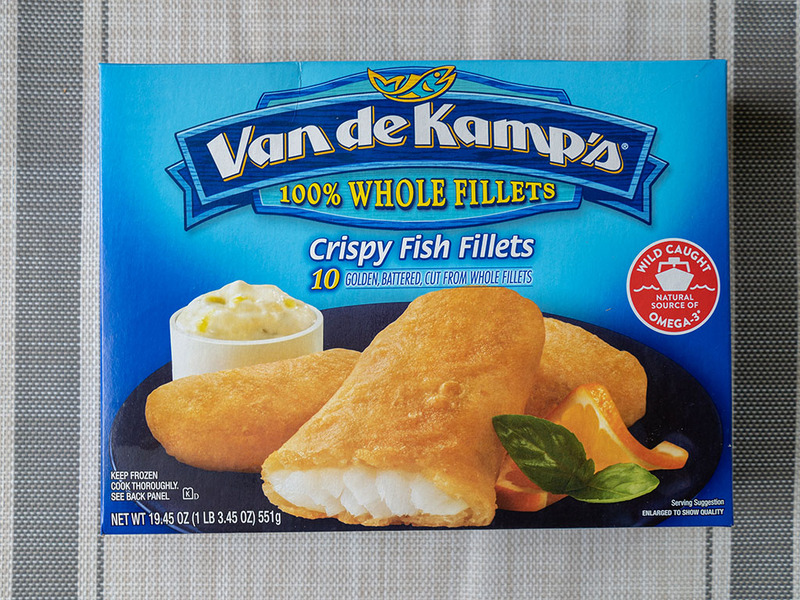 Are Van de Kamp's Crispy Fish Fillets any good? I’m afraid I would have to pass on these. 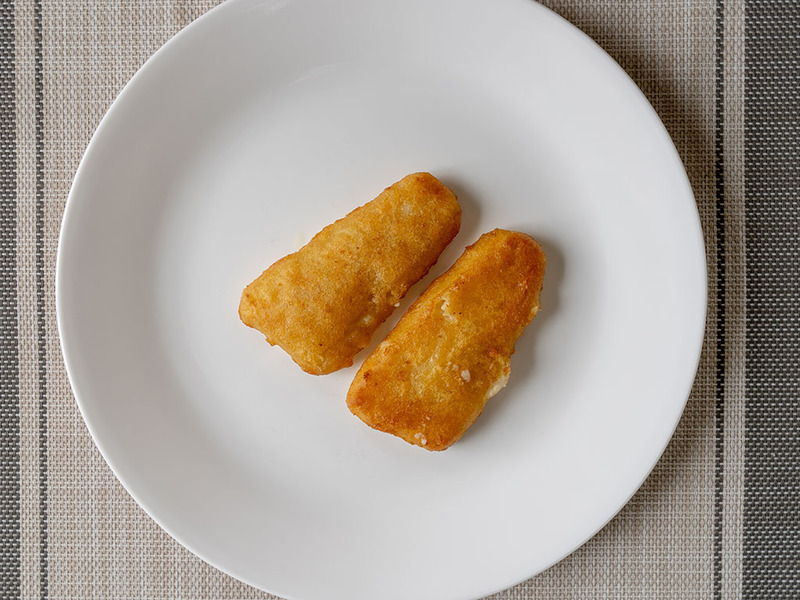 While the exterior of the fish is pleasingly crisp, the interior is a slimy and mushy affair. Sure the fillets work out to less than 50c a piece, but the texture is just a deal breaker for me. 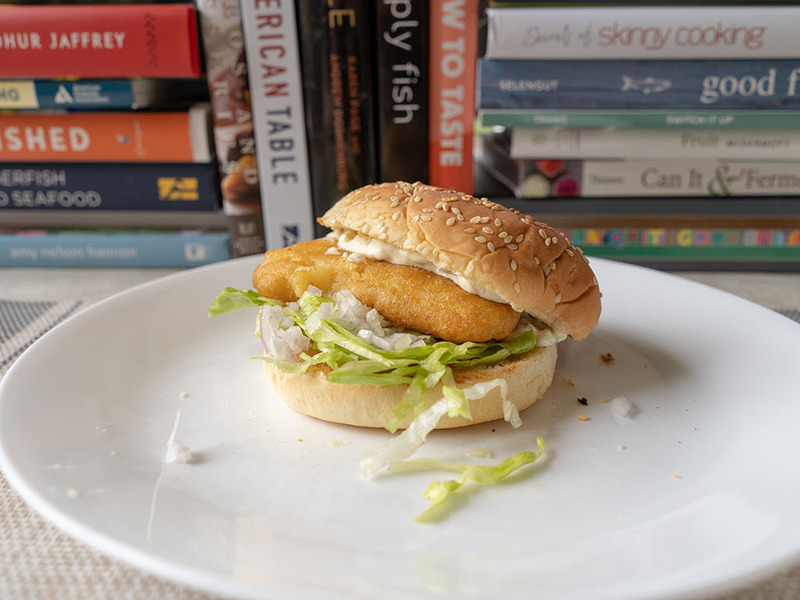 I’m always on the hunt for a killer frozen fish fillet, because I’m essentially always one the mission to recreate fast food fish sandwiches at home. Yeah, I know, Im weird. 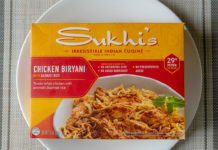 This particular product landed in my shopping cart as a substituted item from a recent Walmart online order, the brand I wanted being out of stock, this is what arrived on my doorstep. It’s been a few years since I last tried this brand, so I was eager to refresh my memory. 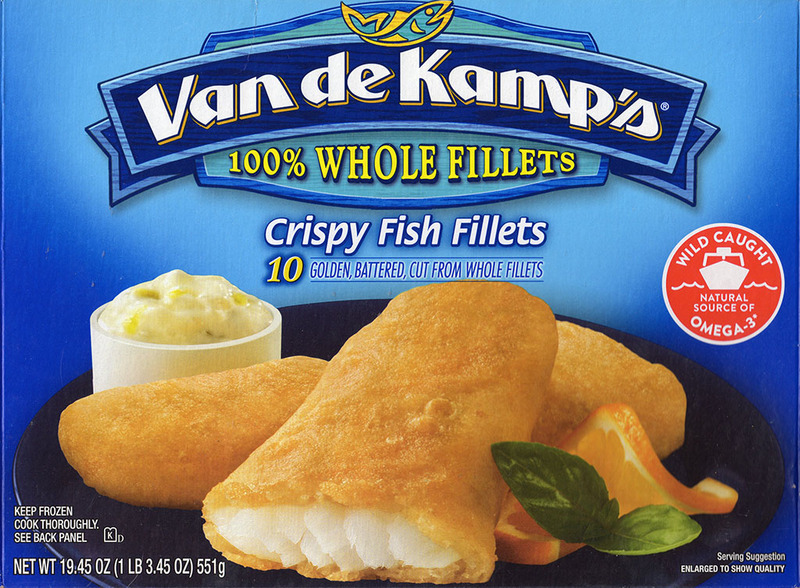 The packaging for these fish fillets from Van De Kamp’s is promising. 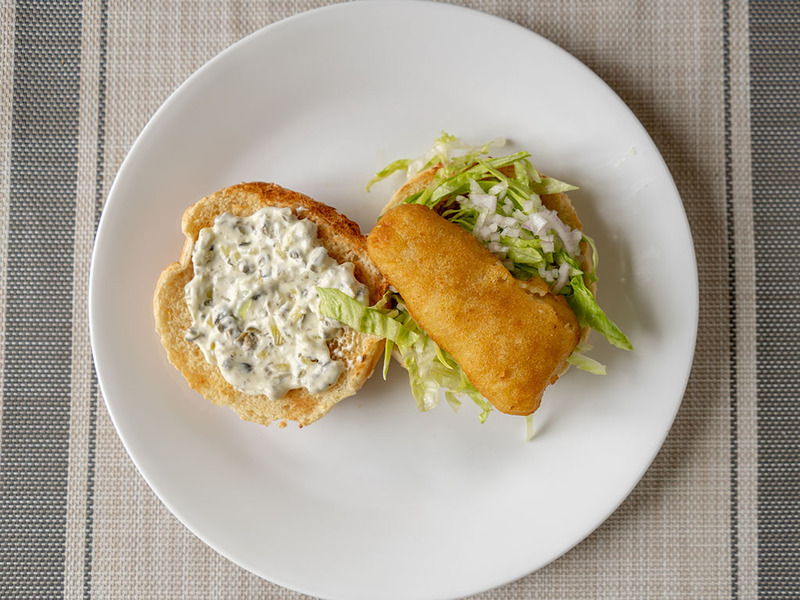 Terms like 100% whole fillets and wild caught adorn the front; golden battered fish, giving way to a flaky interior – front and center on the design. Sadly, the final product doesn’t live up to the delicious looking packaging. 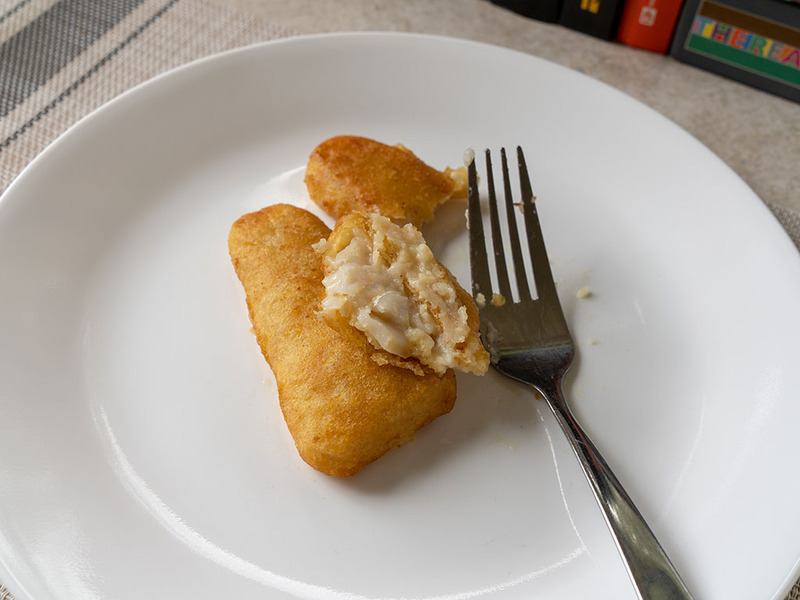 While the batter does come out of the oven golden and slightly crisp, the interior of the fillet is a mushy, sludgy and slimy affair. The flaky fish, gleaming white on the box, doesn’t match the cooked reality; or at least it didn’t for me after several run throughs. 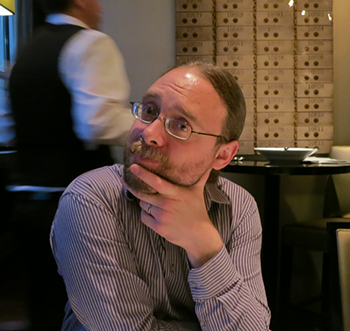 The taste wasn’t particularly terrible as such, but nor was it prominent in any fashion beyond the exterior coating. For me, it’s a pass on this one. 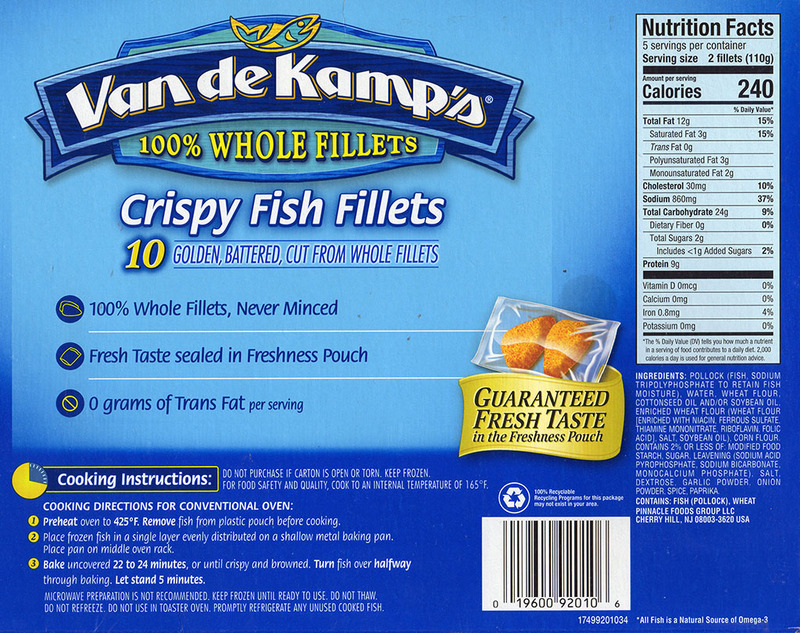 Van de Kamp’s Crispy Fish Fillets – what’s in the box? 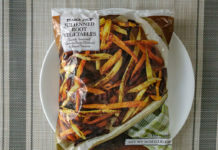 Inside the cardboard packaging you’ll find ten fillets contained in a single plastic sack. Once you’ve opened this you can’t reseal it. Here are a few shots of the finished product, piping hot from the oven and a cross section of the fillet. 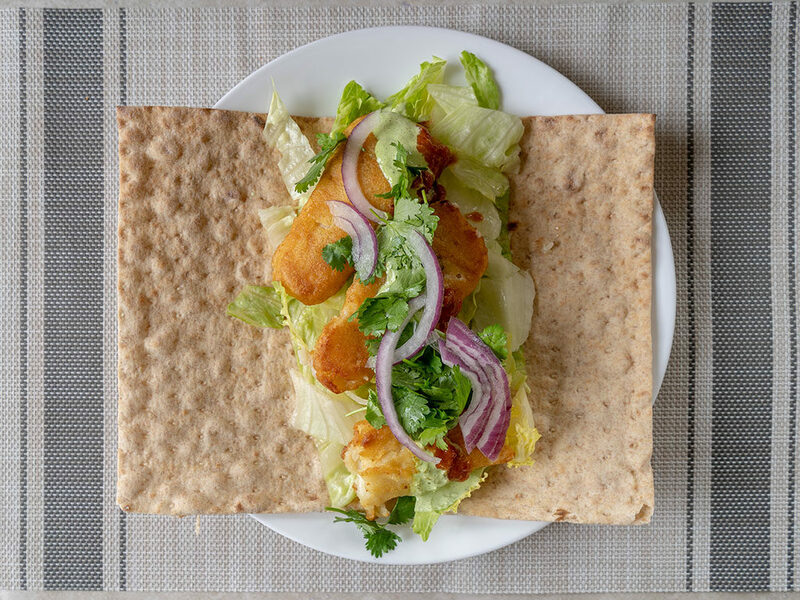 After that, a couple of my favorite ways to eat a frozen fish fillet – essentially emulating a fast food fish sandwich with homemade tartar sauce and after that a healthier lavash wrap version. When it comes to cooking, you have one effective option: roughly 25mins in the oven at 425F. While I’m usually impatient with oven cooking over microwave (which you can’t use here) cooking – I’m happy to use the oven here. 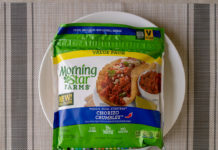 After all, getting that fun crisp and crunch finish is usually impossible via the microwave. 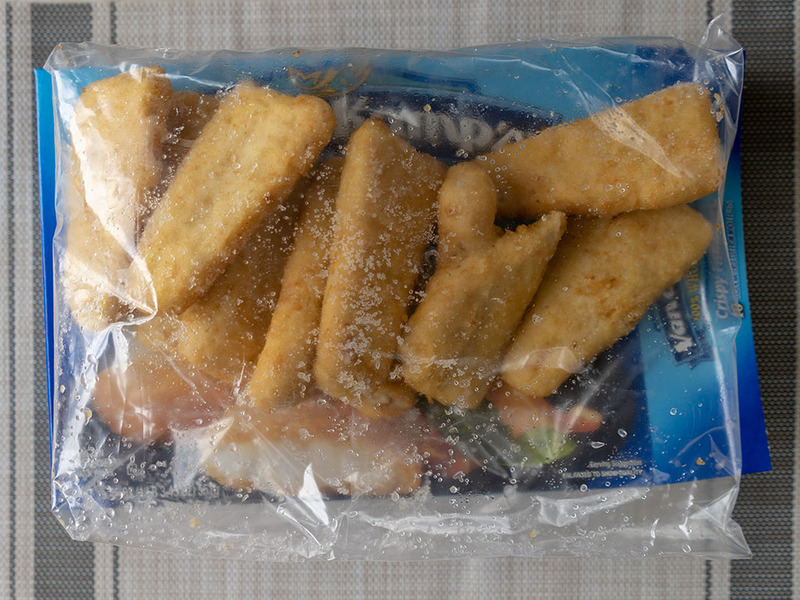 I paid $4.97 for this box of ten fish fillets from Walmart in April 2019.